This recipe is very simple, yet tastes different. 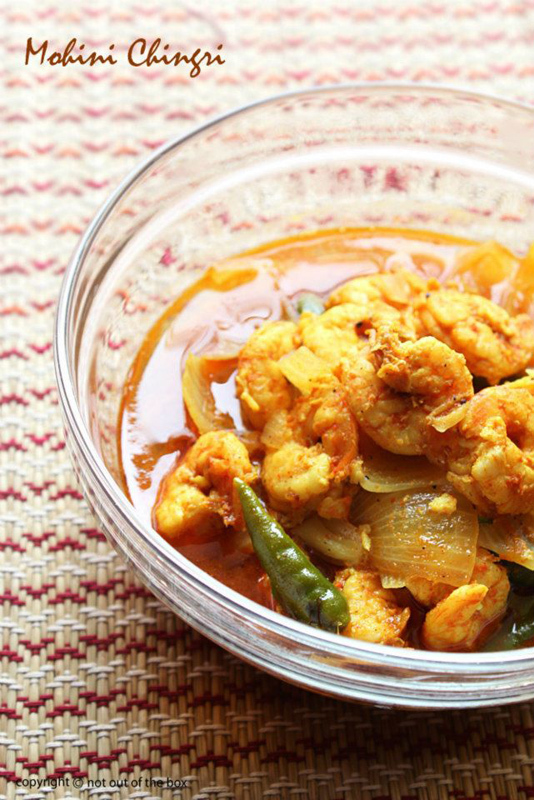 Keep the freshly washed pieces of prawn in a bowl, mix with turmeric powder, 1/2 tsp salt, kashmiri mirch powder, white vinegar & cumin powder. Marinate for 30 minutes. Heat oil in a deep frying pan. Add the cubed onion pieces, fry till light brown. 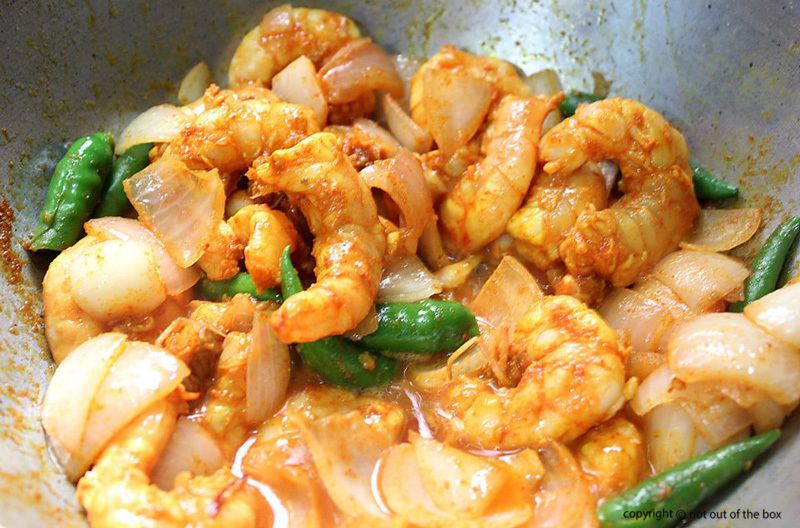 Now add the marinated prawns, mix well. Sauté for 2-3 minutes. Add water, salt & green chilies . Cover & cook for 10 minutes. Add sugar, mix & cook for another 3-4 minutes. Add on the garam masala, stir. Remove from heat.